Metropolitan Sydney stretches out over 600 square miles and can be, at first, a little overwhelming. Our advice is to start where Sydney began, in the area called The Rocks. This is where Sydney’s first settlers lived in the early colonial days of Australia, starting in 1788. The original homes were made of sandstone and thatched roofs, giving the neighborhood its name. Over the past few years, The Rocks has been redeveloped and many of the original homes are landmarked and being restored. Take time to wander around the streets and squares, and visit the fairly new Barangaroo Reserve, the redeveloped commercial port project, now a park. One of Sydney’s most recognizable landmarks is its famous Harbour Bridge, opened in 1932 and still the tallest steel arch bridge in the world. The bridge is simply a majestic sight, day and night, and can be crossed on foot, bicycle, train, or car. One of THE most fun things you can do while in Sydney is to climb the bridge, from dawn to night time, with an expert guide. Choose from the 90 minute ‘sampler’ that takes you about half way through, the ‘express’ climb that takes a little over 2 hours, or the outer bridge climb, that takes over 3 hours. The views are simply breathtaking, and well worth it. All told, the climb takes about 1,000 steps. The most expensive climbs are at sunrise and sunset. The company that handles the bridge climb will photograph every participant and will give you a certificate confirming your successful ascent. If you do not have time to do the climb, take the metropolitan train to Milsons Point, and walk across back across the bridge, for fantastic views. Your other option is to visit the lookout at the top of the South Pylon (200 steps) for fantastic views from 300 feet above the harbor. There are exhibits on the construction of the bridge, on 3 separate levels. Perhaps Australia’s most-photographed and best-known landmark, this famous building opened in 1973 after a long, tortuous process that took over fifteen years. The architect who designed the project, John Utzon, never saw the finished building. The Opera House is now a UNESCO World Heritage site, and ended up costing 20X the original budget. We highly recommend a guided visit during the day, to get a sense of the architecture, spaces, and unique challenges that had to be dealt with during the construction. If you have time, check the schedule of concerts and performances, and get the full experience of this celebrated Opera House. No visit to Sydney is complete without a trip to one of the city’s beaches. Choose from southern beaches like Bondi and Tamarama, or northern beaches such as Manly. 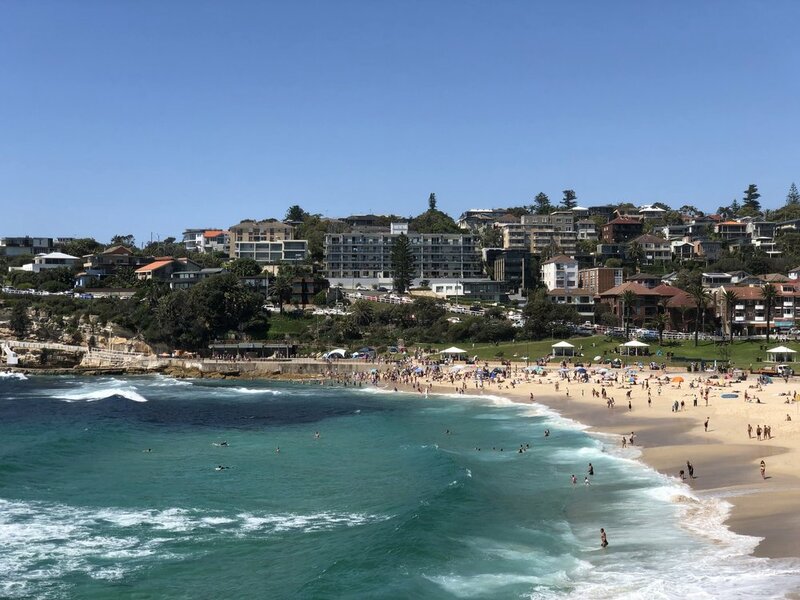 If your time is limited, get a taste of Sydney’s inner harbor beaches at Bronte (South shore), or a favorite in the north shore of the harbor – Balmoral, with calm clear waters. Avid swimmers should experience swimming in one of Sydney’s salt water “rock pools”. Try the Mahon Pool, or Olympic-sized facilities at Bondi’s Iceberg Pool. Ferries Sydney has an extensive and reliable ferry system. Frankly, some of the best views of Sydney Harbour Bridge and the Opera House are from the deck of a ferry, day or night. 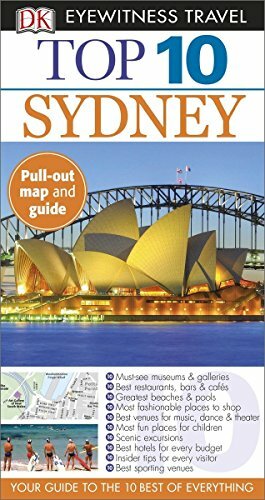 To get a sense of Sydney and the different neighborhoods, take a simple round trip from Circular Quay (the main ferry hub close to the Opera House and Central Business District) to Mosman Bay and back. If you have more time, you can take a ferry all the way to Manly outside the inner harbor. One of our favorite experiences is to find out what time the sun sets, then board a ferry 60-45 minutes before it cruises into Circular Quay, for fantastic views of the Opera House and the Bridge at sunset. For Shoppers and architecture lovers - head straight for the Queen Victoria Building, a beautiful high Victorian masterpiece. For nature lovers, visit Taronga Zoo, for a chance to see some of Australia’s hundreds of endemic species of birds, marsupials, mammals, and unique wildlife. Don’t miss the opportunity to get ‘up close and personal’ with the zoo keepers, and hold a baby koala or kangaroo. Also well worth seeing is the Royal Botanical Gardens. If you enjoy hiking, experience one of Sydney Harbour’s ‘Coastal Walks’, trails that continue for miles through both north and south shores. One of the most beautiful is from Bronte to Bondi beach, a distance of about 1.5 miles. 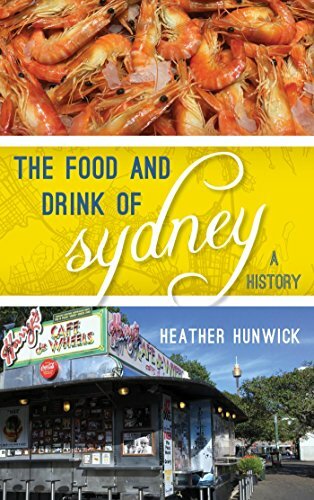 We have enjoyed several memorable meals in Sydney. A favorite: Café Sydney (near Circular Quay) for great dining and super views of the Bridge and Opera House. Tip – ask for a table on the terrace, for best views. For lunch – a wonderful place is Gunners Barracks (Mosman), high on a hill, offering a delicious menu in a tranquil setting with superb views of the Harbour. If you want a more trendy, sophisticated atmosphere, try Fred’s (Paddington) – one of Sydney’s hottest tables at the moment. For an absolutely unforgettable experience, have lunch at Cottage Point, Jonah’s, or Berowra Waters Inn — restaurants outside metropolitan Sydney, arriving by seaplane. Our favorite experiences thus far? The beautiful coastal walk from Bronte to Bondi Beach. Christmas lunch on the terrace at Cafe Sydney. A few recommendations: The Blue Mountains (blog post forthcoming) and Hunter Valley, the closest wine region to Sydney. Both about 2 hours away. Contact us for more information on Sydney and available itineraries.